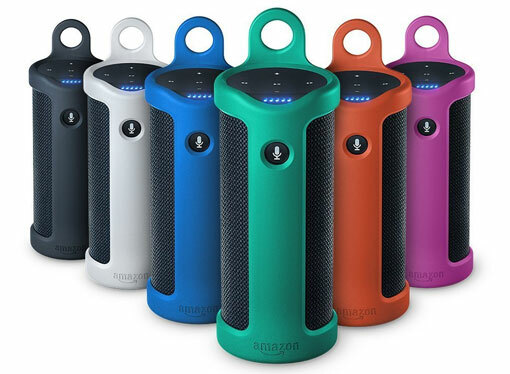 Amazon's lineup of Alexa-enabled speakers includes three gadgets: the Echo ($180), the Tap ($130), and the Dot ($50). All of them let you use Alexa to do everything from control smart home devices to order pizza, but the Tap stood out because it was wireless. Instead of being tethered to a power outlet, the battery-powered Tap could go wherever you went for music on the go, playing music via Bluetooth from your smartphone or from streaming services when it was connected to Wi-Fi—for up to 9 hours. However, there was one thing Tap was missing: hands-free access to Alexa. As its name implies, you had to tap the button in order to talk to Alexa. While it made for a nice wireless option, it wasn't ideal if you wanted to use it as a smart home device while you were at home. Once you've done that, you'll be able to access Alexa simply by saying "Alexa" and asking a question. Alexa has a huge set of features and is adding more regularly. You can ask Alexa to play music, set timers, add events to your calendar, check the weather and even order pizza. If you don't own a Tap, this update makes it a lower cost alternative to the Echo — and you get wireless features to boot. You can buy it now from Amazon for $130. Great Post thanks!! Do you know if the Amazon Echo an Tap are disponible in Italy? Personally, I prefer the Echo Dot.